Why logistics for healthcare products it’s a so difficult task? Some of them have a very short period of validity. What are the most important thing that logistics company have to manage? Surprisingly, the most important logistic resource is documentation, digital documentation is the most important resource that they have to manage. Documentation has to be always available so servers has to be running 24 hours 365 days, and if there is a problem, one backup server must turn it on and substitute failed server. Servicio móvil is working for Galicia Healthcare Service (SERGAS) (SERvicio GAlego de Saúde) since 2013. They are managing the logistic of the whole community (688 hospitals) using a big warehouse (17000 m3) in the centre of the community (close to Santiago) where they stock more than 8000 different SKUs. Some of them has to be high controlled due to their period of validity or temperature. Their warehouse is full automatic with 46 shuttles that place and search all the products using more than 22000 different places. Furthermore, they have 159 employees, 37 vehicles, that receive around 2000 product lines and send around 3500 orders per day. Finally, I must say that all this logistic system saves 20 million € per year to our Healthcare Service. In this video, you can see a very clear summary of the service of the company. Since we were the last lessons working on solving problems that have arisen in warehouses, I would like to introduce the A3 Thinking, which is a problem-solving tool. We were requested to use it in one of the last logistic activities, so I thought that it would be interesting to tell you more about this process. A3 is also known as SPS, which stands for “Systematic Problem Solving” The process is based on the principles PDCA (Plan-Do-Check-Act). Here we have an example of the worksheet used in “A3 problem solving” methodology. Mapping out for this step can be driven by a set of questions. For example, the “5 W’s (what, where, when, why, who) and 2H’s” (how, how many). In conclusion, by following this methodology we will be more efficient while we are solving problems or at least we will increase our possibilities to solve the problem using this process. It is very important, as the JP says always to create the perfect environment to work, removing things that are not relevant and starting with a solid base, as we can see in this tool where 5 points are based on planning our actions. In the last blog I wrote about the imaginative transport vehicles of yore. In this blog I will tell you about something which is even older, yet is still very much thriving nowadays: “Leaf foil”. Banana/Plantain leaves have been used for centuries as a way to wrap food for cooking and storage. They are also used as a way to carry pouches of food and can be used as a plate, too. Bamboo leaves are used to steam food in by many Asian cultures. They need to be soaked in water before use to avoid cracking. 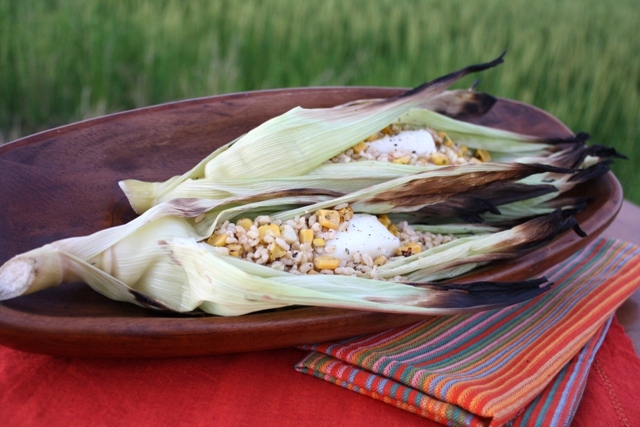 Corn Husks – Fibrous and strong, corn husk are used by many Hispanic cultures for various dishes. Like plantain leaves, they can be used not only for cooking, they also make great wraps for food you want to store or bring with you. Depending on what you used it for, they can be reused, too. They also leave a nice flavor on the food. 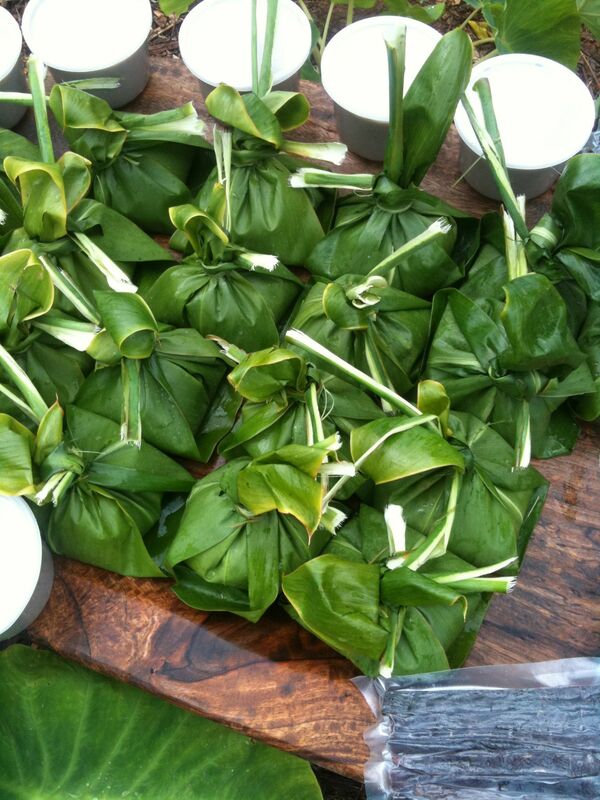 Lotus – Another Asian specialty, lotus leaves get very large and can infuse the food with a nice, earthy aroma. They also need to be soaked (usually bought dried at the store) before using. First, because of their “flexible” water content! Most people who use leaves as a food wrap buy them dried in packages at the store and then soak them to bring back the strength of the fibers that hold everything together. Doing that will also keep the food moist and aromatic when wrapped. 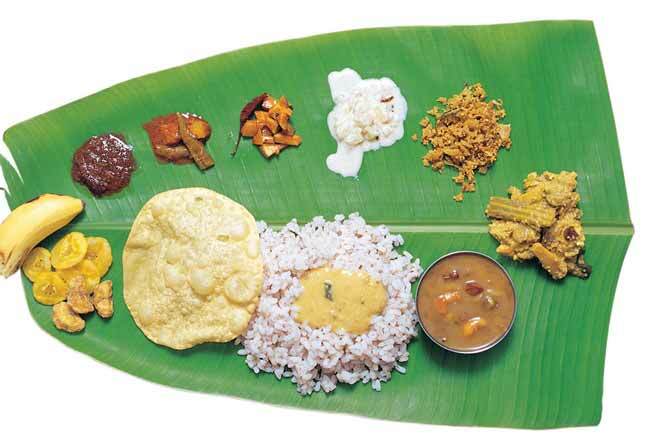 Many leaf types such as Lotus, Bamboo or Banana leaves are also water proof and therefore can serves as perfect transport packet for foods. Another reason is because the essential oils found in many types of leaves. These oils are usually rich with antioxidant and antimicrobial content, which actively fights back certain pathogenic bacteria and spoilage organisms and thus helps preserving foods, even in high humidity and temperature condition. Hopefully in the not too-far-away future, such incredible properties of wrapping leaves can be harnessed and used on an industrial scale in packaging, preserving and storing foods? Reverse logistics describes all operations related to the reuse of products and materials. It is the process of moving goods from their final destination for achieving value. It is true that supply chains have spent decades perfecting their forward logistics process, but reverse logistics has routinely been neglected. As a result, a lot of money is wasted every day in the form of product or space waste. In Spain, more than 1000 km of roads are made by using this material. The construction of recycled roads requires around half of granular material. To summarize, I want to emphasize the importance of reverse logistics, the supply chain does not finish when the product is sold, but when the product spoils or it is destroyed. If companies take care of it, many innovative processes and products may appear and solve several problems of the present. At the end the ideal objective of every supply chain must be to achieve a cyclic loop where there is no spoilage of products. In this case, this goal is very close, since the highways lifetime is 30 years. POOLS MADE OUT OF WHAT??? I have a friend in Colombia who created a company to reuse containers and use them as offices in construction sites, i have also seen in Colombia how they made a whole location into a containers dining, with up to 10 different restaurant offering their food in containers, it’s actually called “Los Contenedores” (The Containers in English), i have also seen how in different countries they were used for prefabricated houses, small ones but perfect for bohemian kind of nomad people that enjoy few space with just the things they need. But I have never seen containers used as pools! Well, Canadian company Modpool is making pools out of reused containers to install in just a few minutes at home! They claim that containers are made to be very lasting and have pools available in two sizes: 2,4X6 meters and 2,4X12.2 meters, both with a depth of 1,35 meters and a price starting from 24.000 euros, with the advantage of reducing the containers carbon footprint. The pool has a powerful filtering and maintenance system, and is able to warm the water in less than one hour from outside temperatures of -10 Celsius up to 30 Celsius. I think the industry has made available such a big amount of used containers that people are getting every time more creative with the way of reusing them and putting them to produce again. ZAL Port (Zona de Actividades Logísticas in Spanish) is the intermodal logistic platform of Barcelona’s port, it was the first one to be built in Spain and it works as a logistics HUB for all kinds of merchandise coming from the Far East, southeastern Asia, Spain, Portugal, France, and Northern Africa. It is located 2 km away from the Prat Airport. With more than 100 companies operating in 635.000 square meters, which in the next years are going to be complemented with another 450.000 square meters, this platform drives the economy through efficiency and high value logistics. Carrefour inaugurated this may 22 a cold storage in the ZAL Port constructed by CILSA which is the partnership that manages the ZAL Port with an investment over 12 million euros. The installation is 18.200 square meters and it is entirely dedicated to freezing and refrigeration, and will allow the rapid distribution to the chains locations. The company also has a storage in the ZAL Port of 45.000 square meters. Carrefour built this cold storage in order to improve productivity and respond to the customer’s needs, which for they also have stores located in the center of the cities and neighborhoods, installations in the perimeter and online store, to adapt to whatever environment the client is immersed in. Last month was tested in Sevilla an assited pedal tricycle for the distribution of mail packages. The objective of this test was to check if the vehicle is viable, with a view to its possible use in certain parts of the country. From my point of view, this idea would be really useful in Valencia due to the fact that now we have bike lanes, which connect every single point of the city. Taking into account that Valencia is a very saturated city in terms of vehicles, the postmen would be more efficient if they could avoid the regular traffic jam. Furthermore, this technique is focused on a higher respect of the environment because it helps for the reduction of pollution and the CO2 emissions. Once implemented, then maybe some improves could be done, like to extend battery life or to increase the size of the trunk, but always listening to the workers’ opinion. At the end, society is turning back to previos times when cars were not almost used, or even were not invented, and it is due to the massive consume of everything that nowadays we do.